It was two days before the festival when I decided to go. My friend Maricel Faller invited me last year but I did not make it because I went to China. So this year, I messaged her that I am going but she was not coming since she is based in Brunei. She endorsed me to her mom Mrs Rosy Babista and hosted my visit to Lucban. It was a four-hour ride from Quezon City to Quezon Province. I alighted in Lucena City and took a jeepney for P30 fare going to Lucban. It was a 30 minute ride and I can sense the cool breeze. It was already 7pm when I arrived in town. It was 12 years ago when I first visited this town and witnessed the said festival. Pahiyas is a colorful festival celebrated in honor of San Isidro Labrador every 15th day of May where each house is being adorned by colored rice wafers called kiping, vegetables, fruits and handicrafts. The term comes from hiyas means jewel or pahiyas means precious offering. This is an ancient farmers’ festival that dates back in the 16th century. There was also a legend that says that whenever San Isidro Labrador went out of the church, he magically plowed the rice field. It is a story that was passed on to us from Mexico during the colonial age by the Spaniards. I went first to try the pansit habhab because I missed this one. But I was not lucky because they placed it on a saucer. Its chami the thicker noodles. I was not contented so I tried one more in another store, so they gave me pansit in a banana leaf and ate it by mouth, thus they call it habhab. It’s so cheap at 10 pesos. Then I took my dinner of rice and Lucban longaniza. It was really a food trip at once. Everyone is busy decorating their houses with kiping, vegetables, fruits and other indigenous materials. Some have to use ladders to reach the windows and ceilings to put in their decors. It was the eve of the festival but already on a festive mood. Some houses were already done added with some lightings and tourists cant help but to pose in front for photographs. There was a concert going on at the park and it was jampacked with young audiences. I enjoyed for a moment the sound of music. Then I went to the Babista house to get a good rest. In the morning, Tita Rosy prepared breakfast composed of hardinera, fried embutido, dinuguan and suman. Wow it was a good breakfast. She even wrapped embudito and suman for me to take home. I visited the church first thing then went to the Pahiyas route to find the procession and I was lucky to see it near its end. I saw the image of San Isidro Labrador who is the patron saint for bountiful harvest. 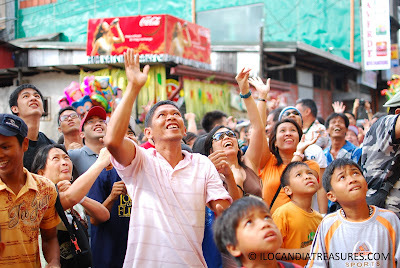 Just right after the procession passed through there was an old man at his house’s balcony who threw away money composed of coins and paper bills and other stuff such as slippers, playing cards and candies to an electrified crowd and scramble for them. I was taking pictures but can’t help and join them grab for the prizes. I was lucky to catch a pair of slippers which Im in dire need to alternate my shoes when traveling. I was able to grab also some coins, paper bill and candies. It was really fun to have that grab fest. 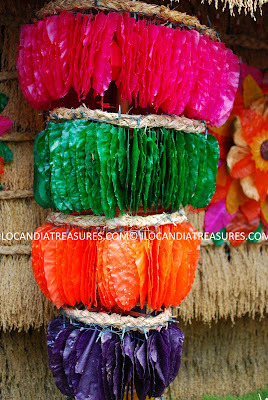 My time is running so after having my prizes I went to phtograph the decorations in the houses along the Pahiyas route. It was so colorful to see the differenct colored kipings. There was green, red, yellow, pink, violet, and orange. 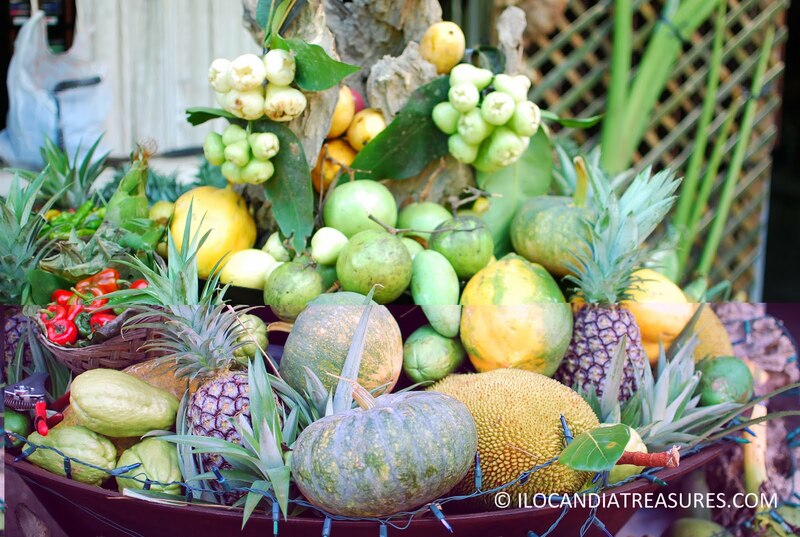 I saw one big wok of fruits and vegetables displayed in one of the houses. 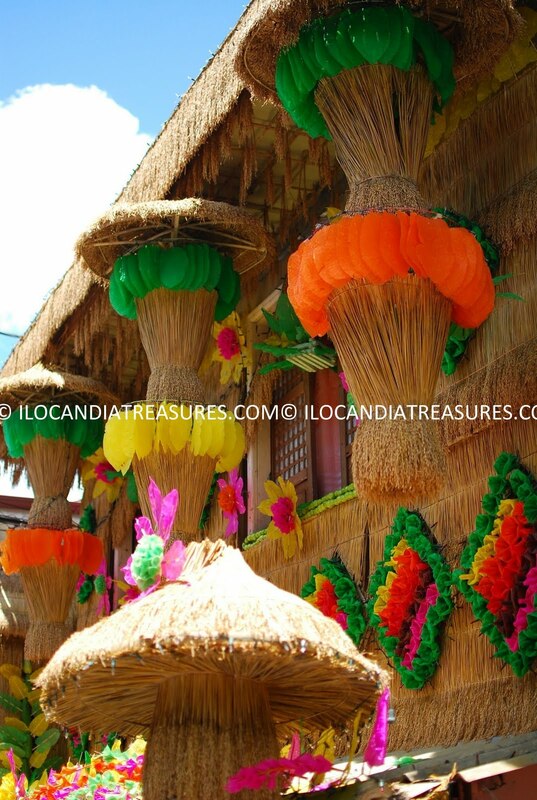 Rice are also used to decorate the houses. I rushed to the Kamay ni Hesus statue and walked up the more than 100 steps. It was so hot and I profusely perspired. 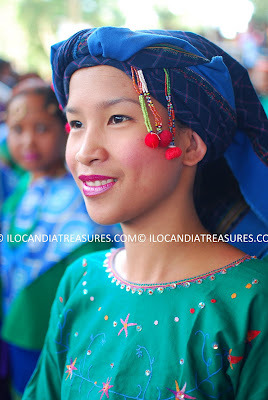 Then in the afternoon I saw the parade of beautiful muses of Lucban clad in a gown designed and made from indigenous materials. 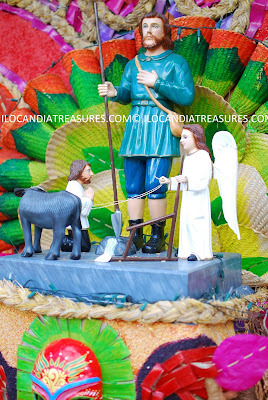 I saw the floats and the higantes. After the event, I rushed to go to Santa Cruz terminal and paid 40 pesos as fare. It is a shorter route to take going Manila. I have to catch up with another bus trip going back to Laoag. It was my fourth time to visit the town of Dumalneg in Ilocos Norte and still being fascinated by the mountains surrounding her. Besides that, it was so colorful to see the indigenous peoples clad in their native costumes and the men wore the g-string. Last week, when I joined the press staff of the provincial government, I was lucky to witness the celebration of the town’s fiesta called Panagwawagi Festival. The term means brotherhood. Its an annual celebration to preserve and promote the indigenous culture. I saw again some familiar faces. I greeted Mayor and Mrs Francis Espiritu when we arrived at the auditorium. 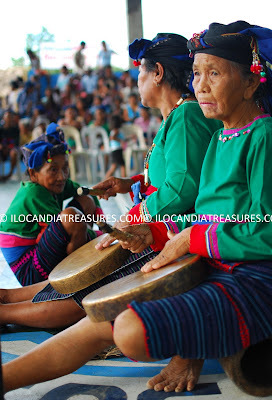 I have seen the elders busy playing the indigenous musical instruments. A little later, they started their ethnic dances. The men that sport long hair are members of the lamplighters. They too participated in the dancing. I saw also a toddler who wears a g-string but with a diaper underneath. So cute to see and watch him as he went at the middle of the auditorium. 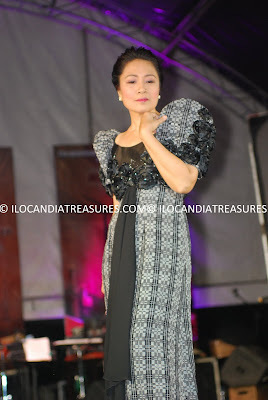 Governor Imee Marcos was the guest speaker for the event. She mentioned that Dumalneg came to be an independent town during her father’s regime. She watched the competition for the Sayaw Kalikasan. There were three groups competed and they depicted nature and environment. 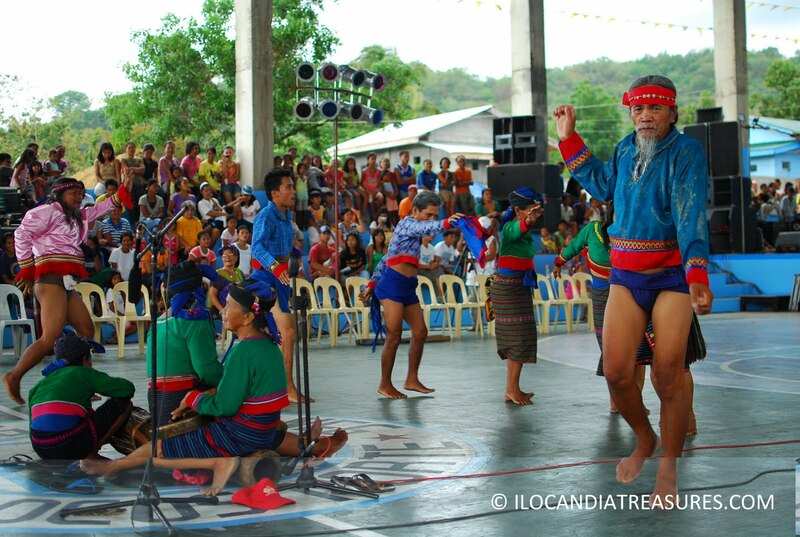 Their dances imparted a message to protect and preserve Mother Earth. 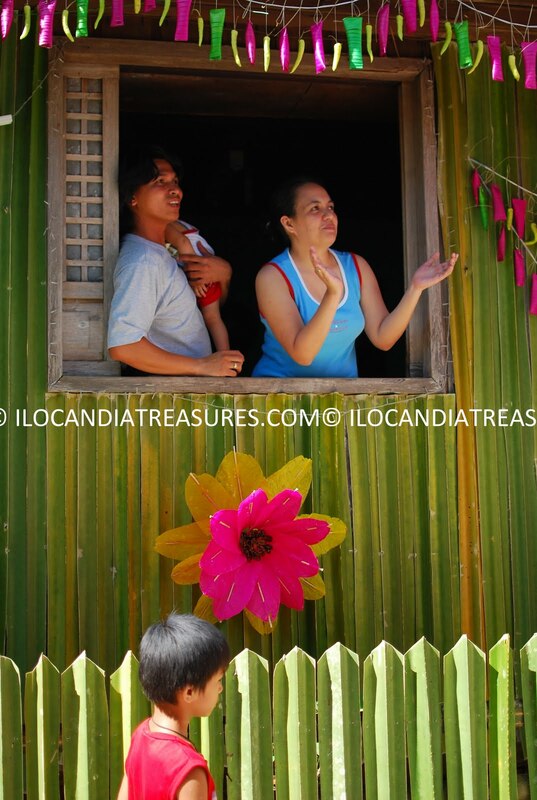 I had the opportunity to go to the town of Carasi through the kindness of my colleague Alaric. He had to cover the governor for her visit as guest speaker for the festival event so I hitched with their vehicle. 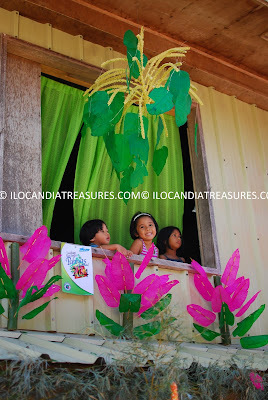 The town of Carasi in Ilocos Norte is a 5th class municipality. 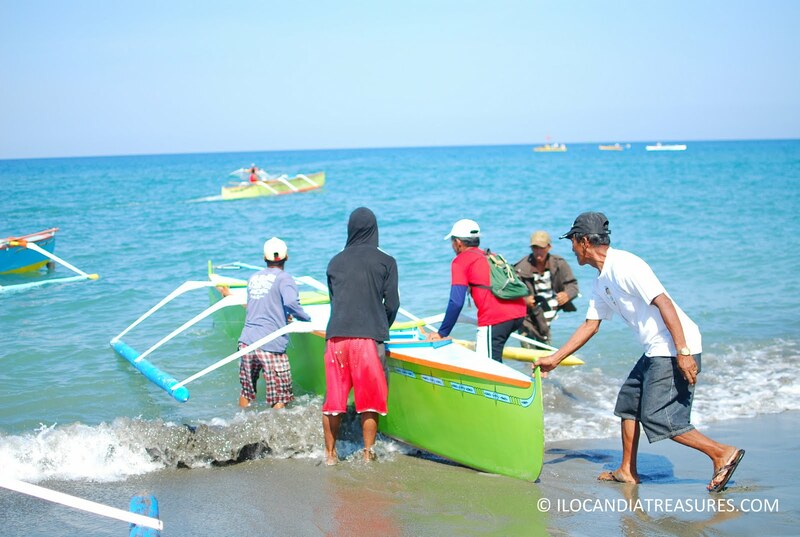 It has only three barangays namely; Angset, Barbaqueso and Virbira. It is headed by Mayor Joy Bannaqui Fernandez. This is one of the towns in Ilocos Norte which is inhabited by indigenous peoples. Most of the IPs here are Isnag. They call their celebration as Magdadaran Talip Festival. It means they get together and dance. It was 14 years ago when I first went to this town. I remember that you have to pass an unpaved road. Still same as today. Rocky and dusty in midnoon when we went there. 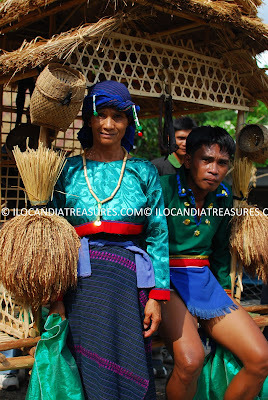 Upon alighting from the vehicle we used, I saw people clad in their festival costumes. 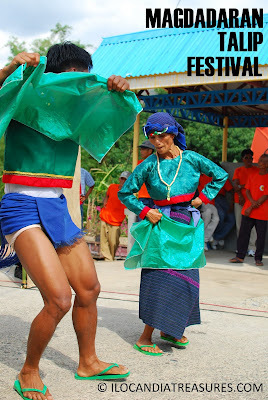 It’s a dance parade and showdown for the the three competing barangays. What fascinated me most are the colorful costumes and dances of the Isnag people. I met young people in the group as well as the old alike. They were so welcoming and actively strike a pose when asked to be photographed. Even under the scorching heat, each contingent showed their skills in dancing as they paraded to the town hall up to the amphitheather. Locals have really watched the different groups. 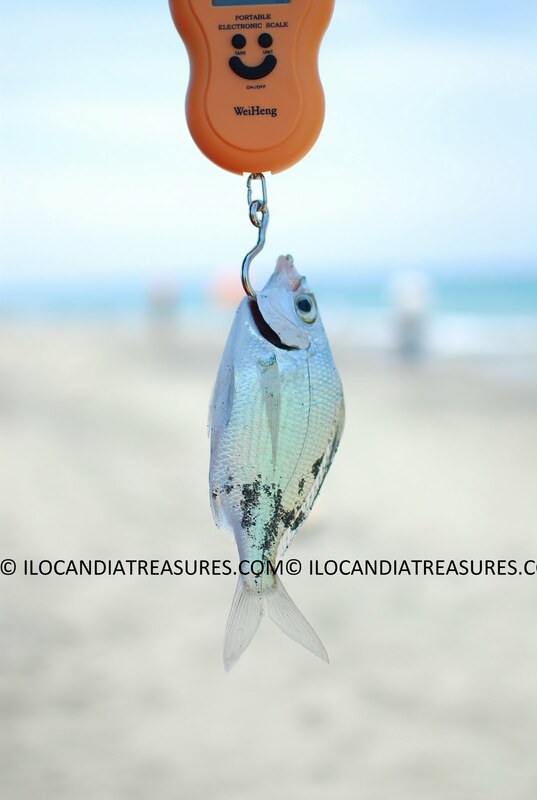 In celebration of the Binatbatan Festival of the Arts in the Heritage City of Vigan, a bankathon and a fishing competition was held in Mindoro Beach on the fourth day of the festival. This competition was participated in by fishermen and owners of fishing boats from the coastal areas of Vigan. They competed for the prize of 5 thousand pesos as the grand prize and runners up of 4 thousand and 3 thousand pesos. It was a long distance trip on a tricycle going to Mindoro Beach. The road was rocky and dusty but its worth it because its enjoyable to watch the contest. Many people watched this competition, young and old alike. There were four batches and the winners for each batch competed for the final round. Some of the boats were disqualified because they used plywood that makes the boat run faster. Right after the bankathon, we went infront of the Playa de Oro resort where fishing competition was ongoing. 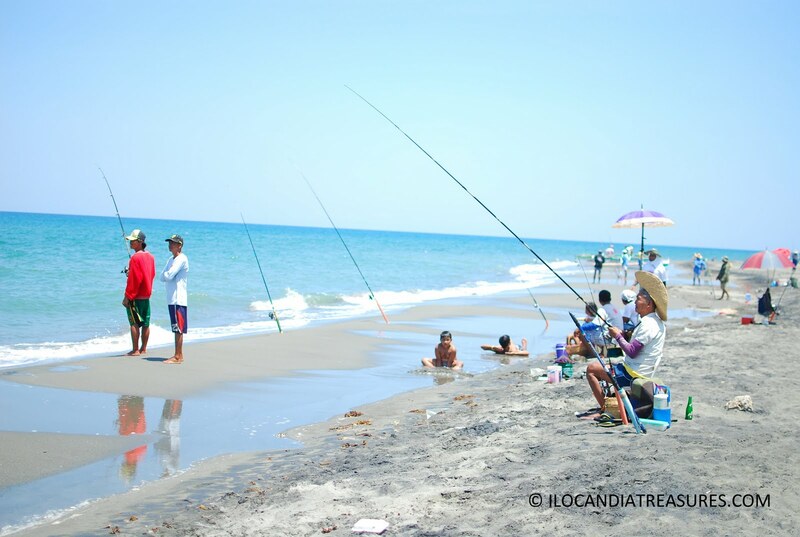 There were people fixing their fishing rods and some had already their catch. 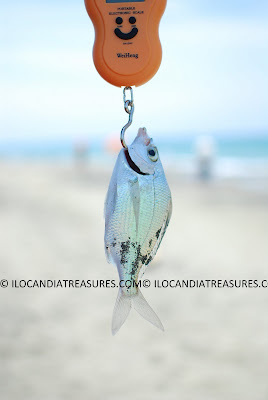 Only small kinds of fish were caught such as osoos and tudingan. I have seen some children enjoying the beach water and playing with the sand. Last month, I was asked by my colleagues in photography to help them cover the national convention of the American College of Chest Physicians (ACCP). Several events were conducted. One of which was the fellowship night entitled Gameng Iloko. It was held at the Malacanang ti Amianan. 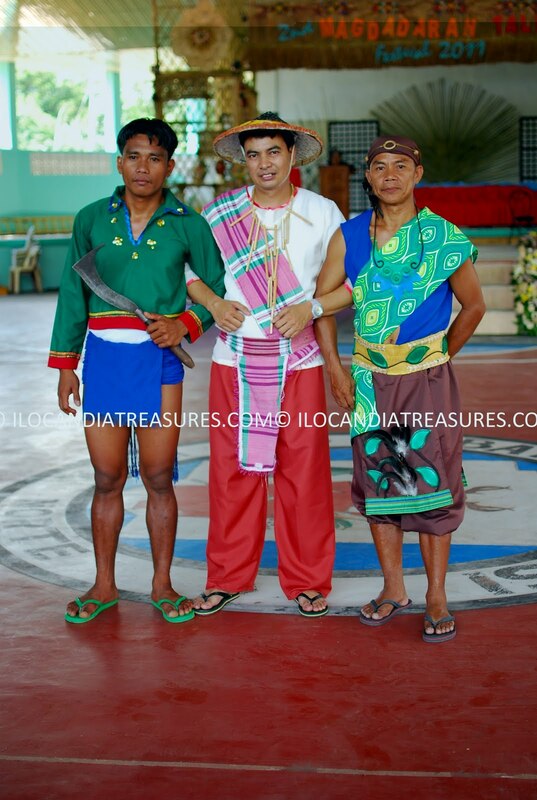 There was a showcase of Ilocano cultural performances, an awarding ceremony, a performance by violinist Jay Cayuca and of course the abel fashion show. 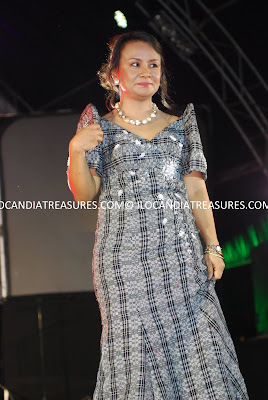 The abel fashion show was participated by no less than the members of the Ilocos Norte Medical Society and some from the ACCP. These doctors took off their scrub suits and sthetoscopes for the meantime and looked glamorous with their beautifully designed abel gowns and suits as they sashayed down the ramp. I was surprised to see some of my friends who participated in this event. It was such a feast for the eyes when everyone was glued to the event as the models came out one by one with the abel suits from casual to evening gowns of varied designs. 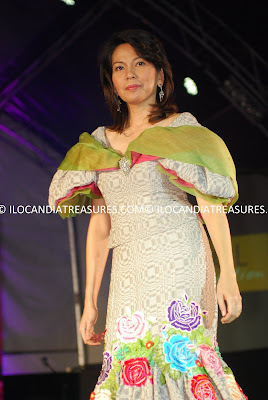 The doctors that I saw in the fashion were Dr and Mrs Francis Ranada III, Dr and Mrs Robert Bueno, Dr. Liza Marie Paz Tan, Dr. Baluran, Dr and Mrs Formoso, Dr Isaias Alipio, Dr and Mrs Nonilone Corpuz and Dr. Rey Mamaclay with their gowns and suits designed by various local designers. 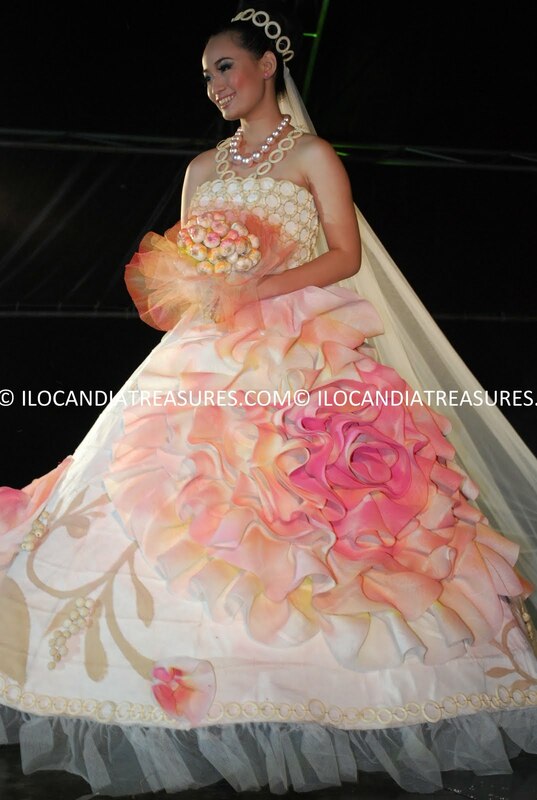 The highlight of the show was the presentation of a wedding gown made of abel and other indigenous materials. The bouquet had a twist, at first glance it may look like flowers but it’s actually a bundle of garlic bulbs. It was indeed a creative design. 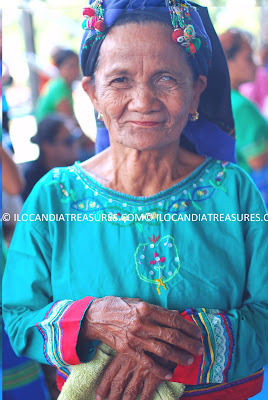 I am so proud of this Ilocos handicraft abel which is truly a world class and uniquely Ilocano. 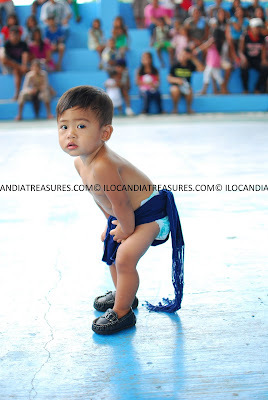 It is a product of Ilocano ingenuity. 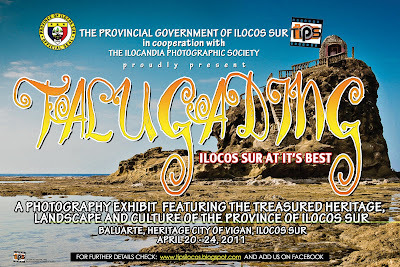 The Ilocandia Photographic Society (TIPS) conducted a photography exhibit entitled Talugading: Ilocos Sur at Its Best. 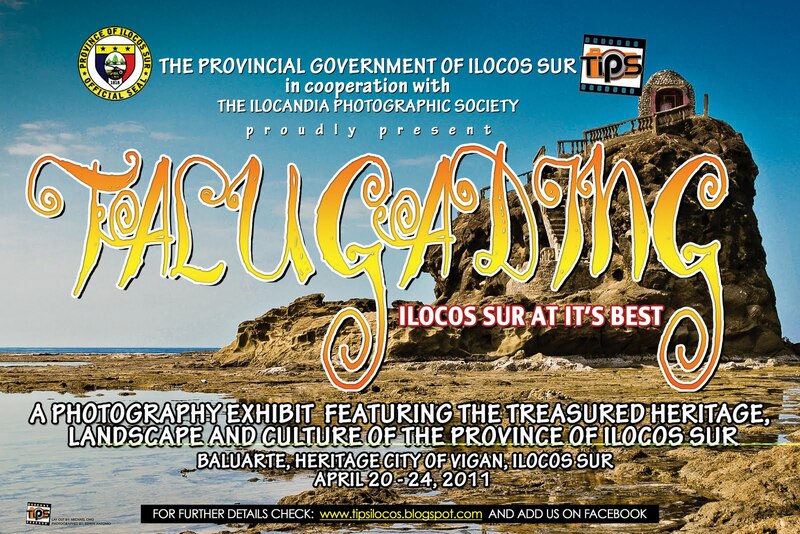 The said exhibit featured the treasured heritage, landscape and culture of the province of Ilocos Sur. 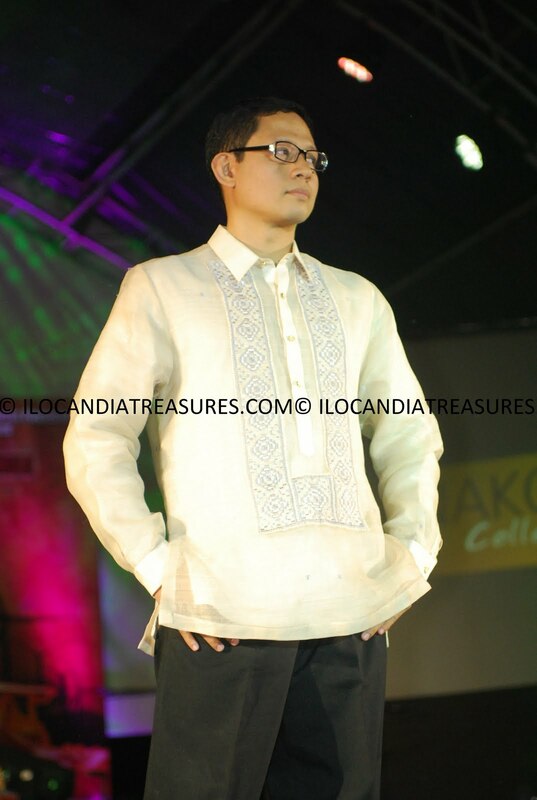 It was launched on April 20, 2011 at Baluarte in the Heritage City of Vigan. Vice Mayor Ryan Luis Singson of Vigan City assisted by Dr. Edwin Antonio, president of TIPS formally opened the exhibit by untying the ribbon. Vice Mayor Singson was impressed by the photos exhibited by the members of the group and praised the art pieces. He said that he has also interest in photography. Dr. Antonio has asked the support of the vice mayor for a possible future exhibits in places other than Ilocos Sur and he said yes.